If you could, would you? According to EPA, Americans generate trash at an astonishing rate of 4.6 pounds (2.1 kilograms) per day per person, which translates to 251 million tons (228 million metric tons) per year. The United States ranks about in the middle of the major countries (United Kingdom, Canada, Germany, France and Japan) in landfill disposal. 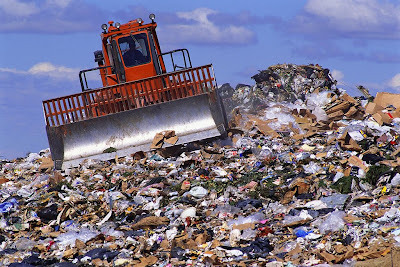 The United Kingdom ranks highest, burying about 90 percent of its solid waste in landfills. Do you want a future filled with Trash for your kids? Of course not! I already have one little stinker and that is all I can handle! But God, I love that little stinker. And this is why I'm very passionate about ensuring that NOT only my kid's but every kids' future is hazard-free, green and livable as well. And the only way I can help make this possible is to lay the foundation now by finding ways to protect Mother Earth for them, in every little ways I can! You know what they say, EVERY LITTLE THING COUNTS! Thankfully, Terracycle Inc. share the same vision. This is why I decided to sign up as a Terracycle Brigade for Kashi , Cliff Bars and currently on wait list for Stoneyfield Farms Yogurt . These products are just a few of those consumed daily in my household and though they're subject to your usual recycling, courtesy of the City's local trash collector, Terracycle offered a better alternative by partnering with these companies and contributing $0.02 per package collected which will be paid to the school or nonprofit of your choice. The collected materials will then be upcycled by Terracycle into new eco-friendly, affordable products AND most of all, away from landfills! I DO KNOW WHAT I'M SAYING, YES. 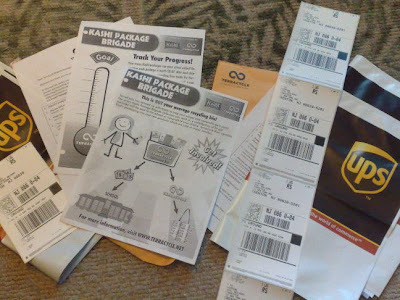 Terracycle has also eliminated the hassle of shipping the collected items back to them by providing prepaid shipping labels and bags via UPS. 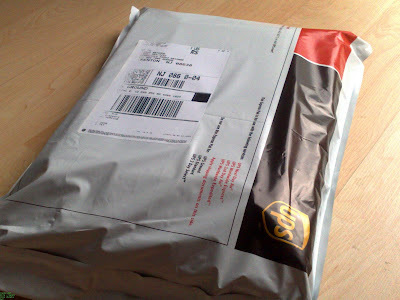 I received mine today and I'm ready to stuff it! I practice what I preach: Some of my daughters' items as she starts school this fall. 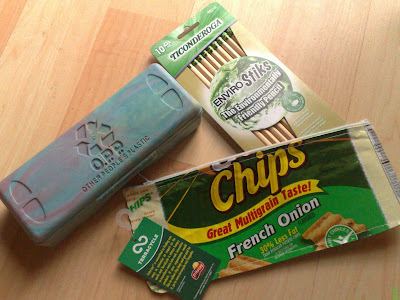 Pencil Case by O.P.P (Other People's Plastic), Ticonderoga's Enviro Sticks Pencil and Terracycles' Chip bag Pencil case - made from Sun Chips bag. And oh before I forget, FTC this is not sponsored nor a paid post - though I wish it was - just so it's clear, you know. For you and for me..."
Ready to take the Challenge? And yes you can call me GREEN NUTS or TRASH LADY after this. I'm proud of it and I take it seriously. I admire your passion to save the planet.. Good luck! And I saw those products in Target and now that I no longer have a Target (moved to a Target-free town), I'm kicking myself for not buying them! THis is a great post. I am teaching my two year old son to become eco friendly. It is never too early to start teaching kids. You also gave me some great ideas. Please visit my blog www.kathysykes.choseit.com and you can see some of the things Thomas and I have done. Search "recyling trip"
Another wonderful post! I invite you to join my group "Living Green" at http://friendshipsociety.ning.com. I welcome your friendship.Thank you for your comment on my blog, :-) Hugs! 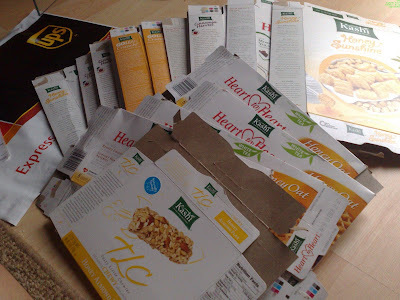 I LOVE Terracycle! I think what they are doing is so great! :) I am thinking about taking on the challenge as well.